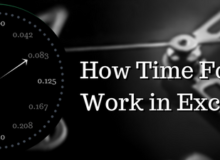 You will save a lot of time on a daily basis by using the Enter key in these 4 ways. 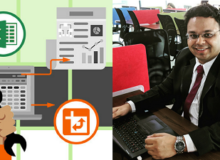 You may think, what is more to learn in using the Enter key in Excel? Read further to know what are the 4 ways and what they can do for you. – It takes you to the next cell in the next row (1 step down). – It takes you to the next cell in the previous row (1 step Up). You maybe using the feature Wrap Text in Excel. – But using Alt + Enter, you can write in the next line, in the same cell. This will help in a way that you can decide when you want to next line to start (in the same cell). Wrap doesn’t allow that, it wraps the text automatically based on the width of the column. Thus, when you type something and press Alt + Enter, you will go to the next line in the same cell. Then once you are done typing, press normal Enter. The entire Row’s height will increase automatically. Type – Enter – Up arrow – Ctrl + B (bold). Rather use Ctrl + Enter and then directly Ctrl + B. Thus, Ctrl + Enter allows you to stay in the same cell after typing something. Do try these out once. They are amazing and very handy to use everyday. If you have found this useful, leave a comment below! When you work with Excel, you must avoid using the mouse as much as you can. Using the keyboard only will help enhance your speed a lot, and you will start saving a ton of time! I understand that remembering Excel shortcuts is a pain, so I have listed below 10 shortcuts which can be remembered easily. I assure you, these are the ones that you will definitely want to use everyday! Start using these 10 Excel shortcuts first and then once you have been using these on a daily basis, learn more. Keep your cursor at the beginning of your column, and press Ctrl + Shift + Down. 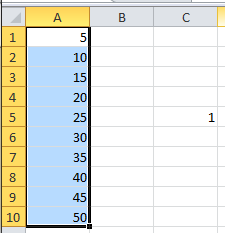 It will select the data to a point where the next cell is blank. 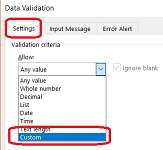 So if there is a blank cell in between the data, it will select upto a point just before that. Undo if ofcourse to undo something you did by mistake. Redo and to redo something you just Undo’d! Keep your cursor anywhere in the column by which you want to sort the data, and hit the shortcut key. Select the column and then press Alt – O – C – A. Normally we know that Vlookup matches value-to-value directly. For example, if you want to know the age of an employee, when you enter the employee’s code, you can vlookup his/her age directly. C2 = We are looking for the Age of each employee. 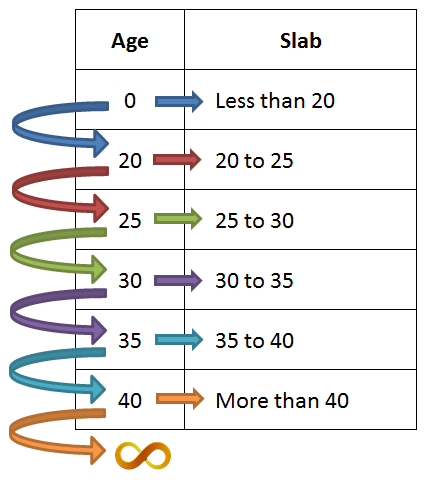 G2:H8 = We are looking for that Age in this data where the slabs are mentioned. 2 = We want the second column as the output, that is, the slab. 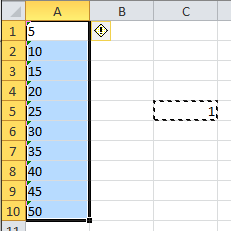 1 = With 1 at the end instead of 0, we are forcing Vlookup to look for a Range instead of Direct match. So if you need a retirement fund of at least Rs. 25 Lakhs, you can choose 1 of the above marked options. It is tedious to input data manually all the time. User has to only input in the Grey columns. All Orange columns are filled in automatically using Excel’s awesome functions. Price and Delivery No. of Days are filled up automatically from the Product Table below. Credit No. of Days is filled up automatically from the Customer Table below. Imagine how much time is being saved when there are 100’s of records to be filled in everyday! You want to dynamically highlight all weekend days (Saturdays and Sundays) in a list of dates. 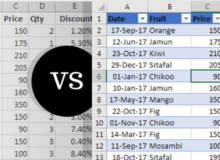 Conditional Formatting can be used for this. Click here to understand how this is done. 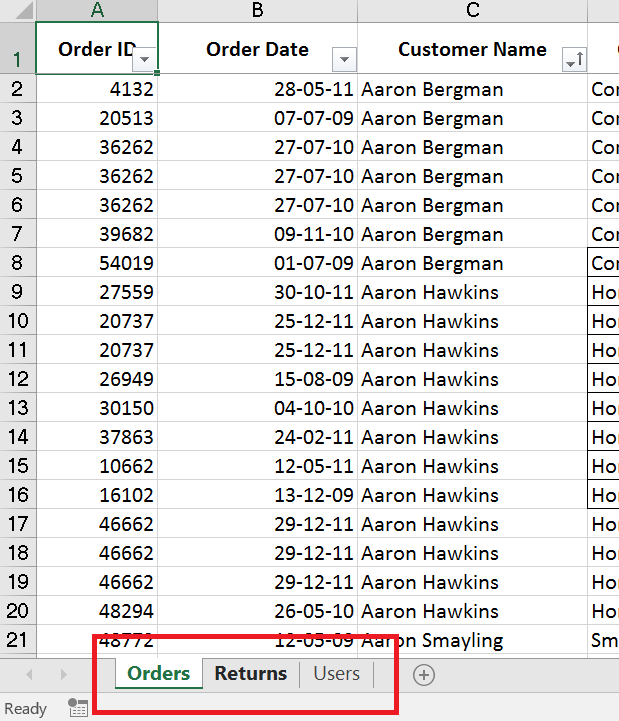 When you download data from some back-office system or a CRM system, numbers in the sheet may appear like like text. They are right-aligned and sometimes also have an error mark as shown in the image below. 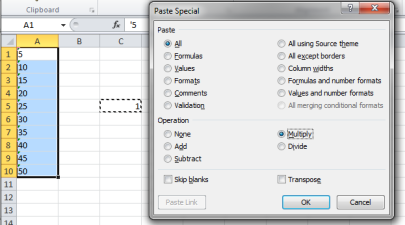 Paste Special’s Multiply feature is to be used to convert all the textual numbers to normal number format in 1 shot. 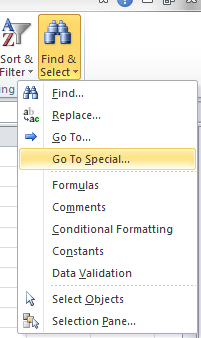 To convert these textual numbers to a normal number format, Paste special’s Multiply feature comes in handy. Write 1 in a cell, any cell. Select all the textual numbers. Right-click and go to Paste Special. Select Multiply and press Ok. Simply multiplies all the numbers by 1, essentially keeping the numbers as it is, but changes their format to a normal number format immediately. So do not go changing each number one by one, use this simple method and you’re done! If the result of any formula is an error, you can replace it with text, numbers, or even another formula, using IFERROR function in Excel. 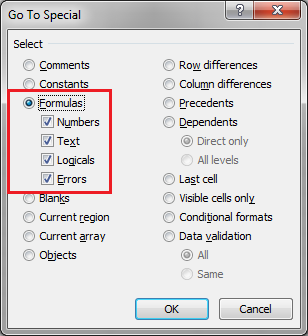 Basically, you need to tell Excel – If this formula results in an error, do this! IFERROR works with any function, like Vlookup, IF, etc. and also with any kind of error. Click here to know the kind of errors in Excel. 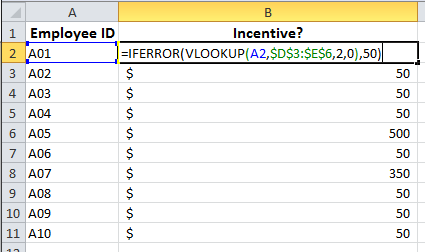 To use IFERROR, just put this function before the Vlookup or IF or any other function. At the end of the Vlookup, put a comma , and then add whatever you need as explained in the examples below. xxxxxx is what you want to be shown/done when the Vlookup results in an error. Taking an example of a Vloopkup formula. There are 10 employees in a company. Based on a lucky draw, 3 of the employees A01, A05 and A07 get extra incentives of $1000, $500 and $350 respectively. 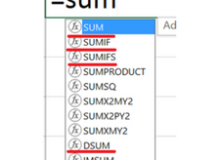 =Vlookup formula is used to find against each employee code, what’s the incentive based on the data on the right-side as shown below. Remaining 7 employees do not get any incentive, thus a #N/A error appears as the result of the formula. 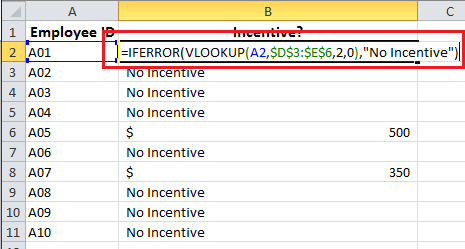 (Add =IFERROR function before the Vlookup function as below in each case). You want the text “No incentive”. You want the amount of $50 to be given to all others. You want to give each of them 0.1% of their annual salary as incentive. Only A01, A05 and A07 have got the lucky draw incentives, else everyone has got based on the formula of IERROR’s result. You have 3 bank accounts and 3 members in your family. You have fixed deposits across the 3 banks for all 3 of your family’s members. How do you track all the fixed deposits in 1 single place? This 3 video series will show you how simple it is. Click now to Subscribe to the YouTube Channel. There are Drawbacks of using the widely Merge & Center option, under the Home tab. You can’t use the Sort or Filter option then. If we try to sort the below data in ascending order or Column B, it won’t allow me and throw an error. If we try to filter this data, it won’t be able to sort of each of the columns, the Period column will be considered as Column B; it won’t check for Columns of Months & Days. You can’t use the shortcut Ctrl+Spacebar to select an entire column. If we try with Column B, this is what happens. 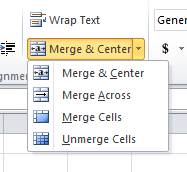 Select the cells that you want to merge. Right-click and go to Format cells (shortcut for this is Ctrl+1). Under Alignment tab -> Text alignment -> Horizontal, select Center Across Selection. You can’t combine contents of 2 or more cells, only the left-top-most cell’s content will remain, everything else will be deleted. Use =CONCATENATE to combine the contents of 2 or more cells. To learn how to use =CONCATENATE in-depth, click here. Normally we use Ctrl+K to create a single Hyperlink, or Right-click on a cell and select Hyperlink. If you need to create multiple hyperlinks, these methods would be very time consuming and painful. We can instead use the function =HYPERLINK and create any number of hyperlinks in 1 shot. 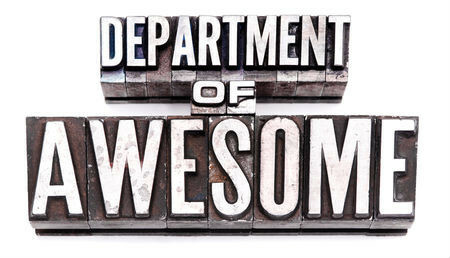 Let’s say I am making a list of all my posts of this blog. I need a list of all the Post titles, hyperlinked to their respective web pages. Link location = Select the cell that has the link of the web page. Friendly name = Select the cell that has the Post title. 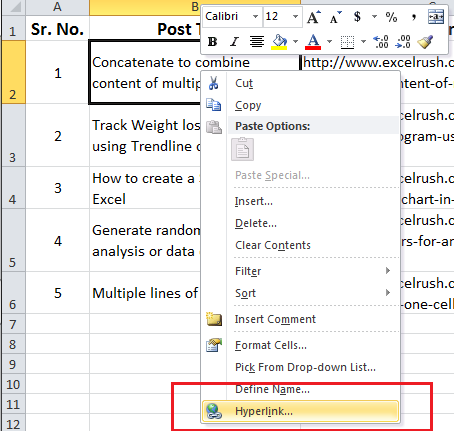 Make this formula for the 1st Post and copy the formula down to get all the links in 1 shot. 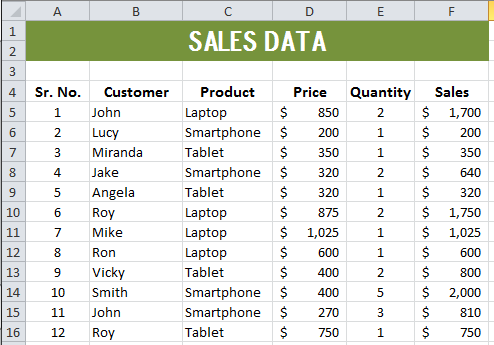 You are working on sales data and need some analysis, so you enter the data as below and make some formulas. After you enter all your formulas, you realize you had to format all those cells which have a formula, no other cells need to formatted. 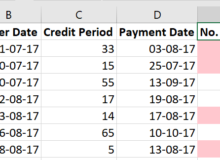 Create the sheet with formulas. Select the formula cells only, and format them. You can directly skip to step 2 if you like. 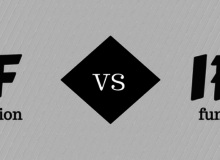 Formula 1 = Multiplies the Price with the Quantity for each order. Formula 3 = Customer-wise Sales for each customer. =SUMIF has been used for this. To learn =SUMIF in-depth, click here. Formula 4 = Product-wise Sales for each product. =SUMIF has been used for this too. Formula 5 = At the current rate at which sales are happening, how much would the total sales be by the end of the year? So if today’s (current) date is 20th October 2015, by the end of the current financial year (date 31st March 2016), the total sales will be $19,777. If you want to understand the Formula 5 in-depth, please leave a comment here, alongwith your email id. 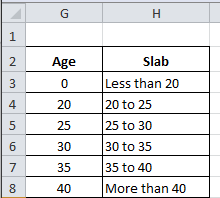 Select Formulas and click Ok.
Only the cells with formulas are selected. Apply Red font color & Bold (or whatever formatting you want to apply).